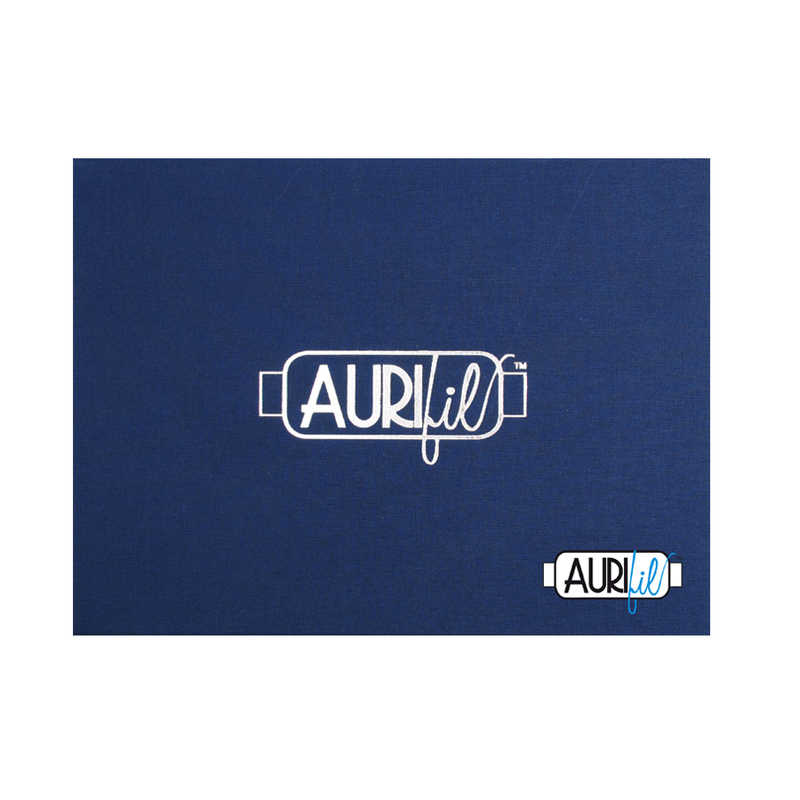 Aurifil Best Selection Floss Box includes 45 spools (18 yards each) of AuriFloss 6-strand cotton thread. 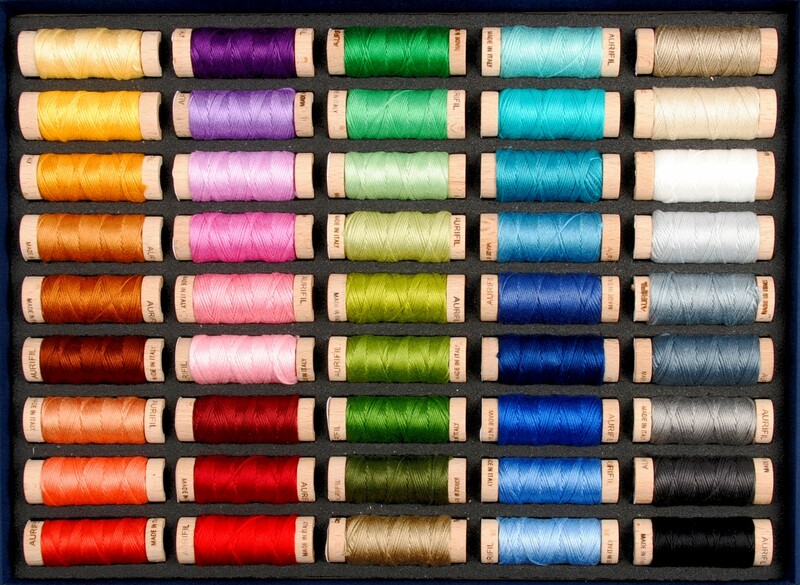 Comes in a convenient case with slots for each lovely wooden spool. Cross Stitch, Huck Embroidery, Miniature Punch-Needle Embroidery, Tatting, Needle Point, Crochet, Applique, Big Stitch Quilting, Accent stitching, and hand embroidery.